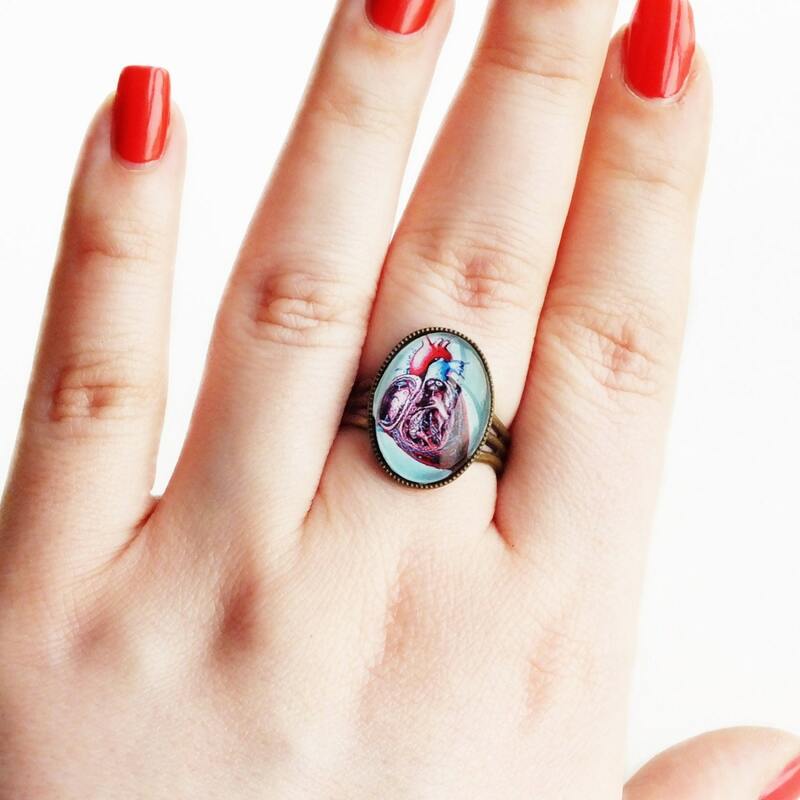 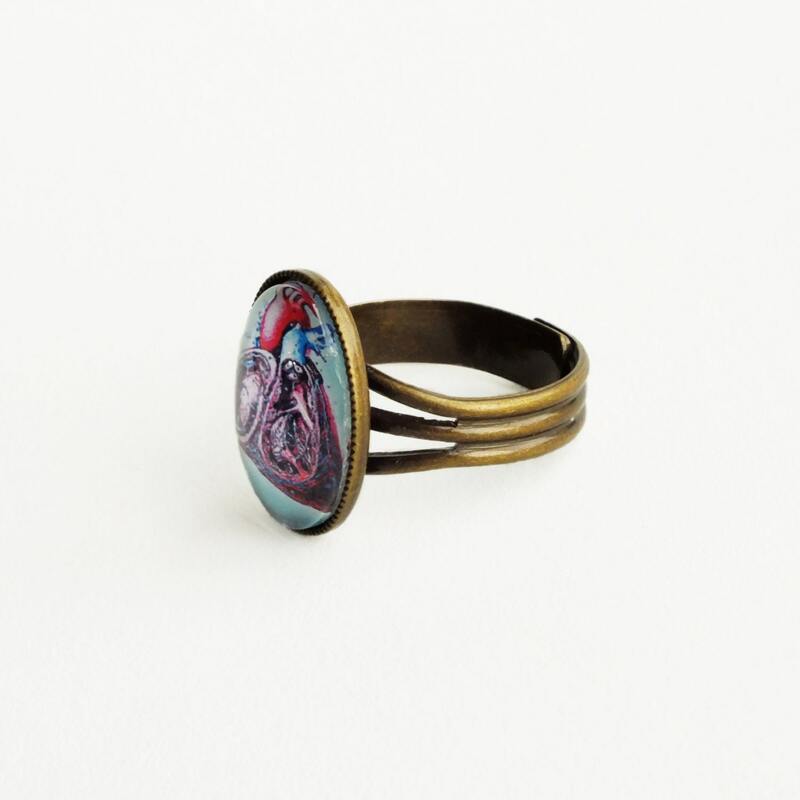 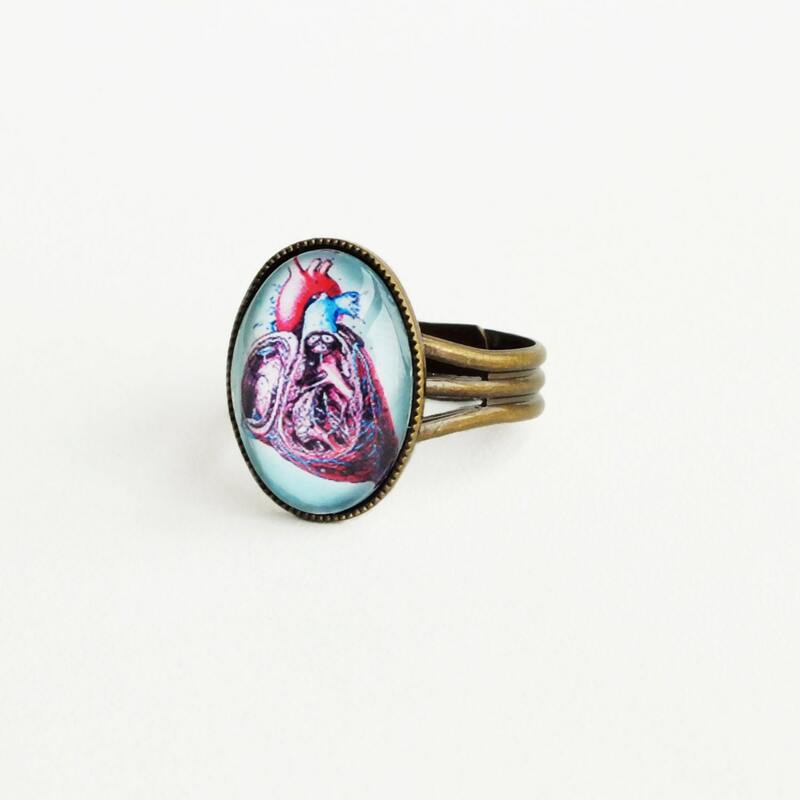 Handmade anatomical heart ring with glass cabochon and adjustable brass ring. 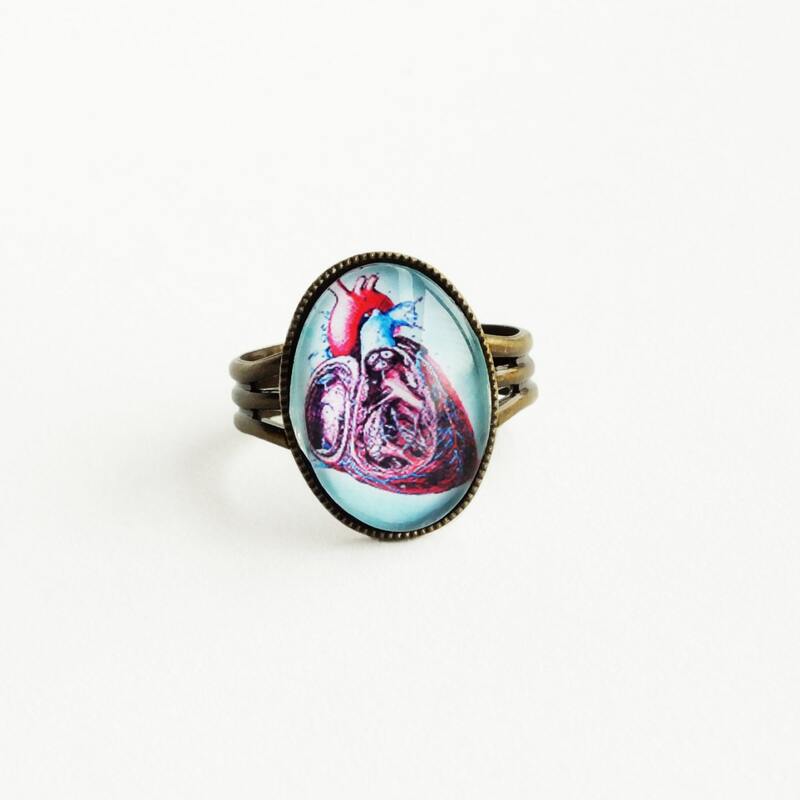 Made with a gorgeous US handmade glass cabochon featuring an anatomical heart diagram. 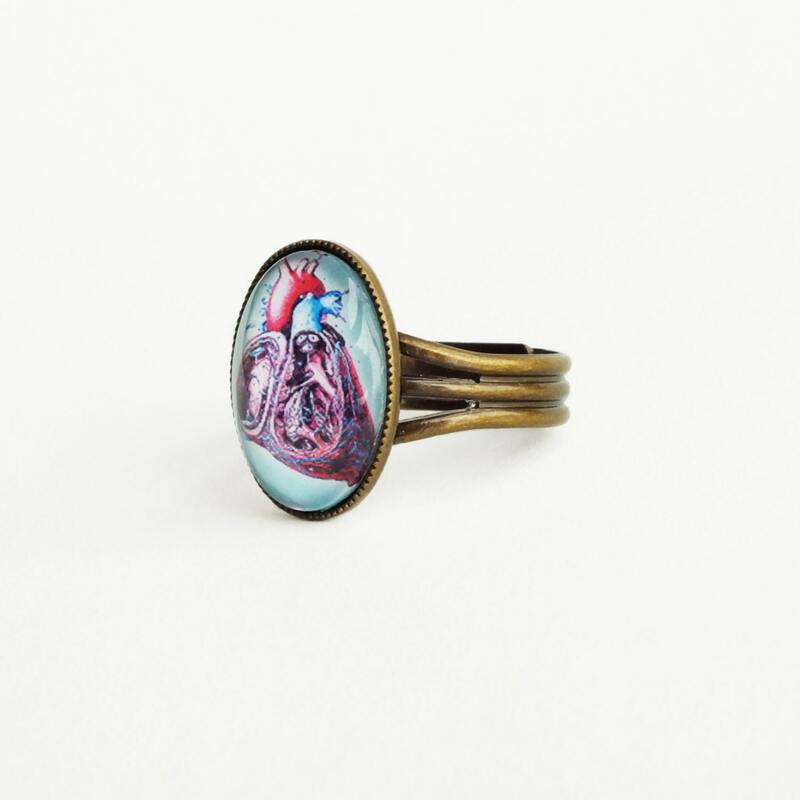 Set in a super comfortable nickel-free adjustable antique brass band.